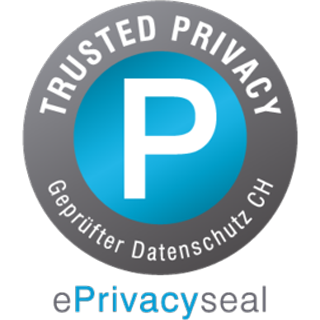 PrivaSphere AG is committed to maintaining users’ privacy and ensuring that personal information remains secured. PrivaSphere will not reveal any personal information to third parties. Exceptions will be made at users specific requests and in cases related to potential fraud or unless required by Swiss law. Upon each visit to the login page, the server automatically recognises the users IP address, domain and Web browser. This information is not used to identify the user personally. PrivaSphere does not sell or market any user information to third parties. Logging information may, however, on occasion be analysed and utilised internally to help improve the quality of our service. During the registration process, the user provides personal information such as name, email address, etc. This information is used primarily to identify the user, necessary for the login process. The individual user account is based on existing email addresses. PrivaSphere will not share this information with anyone, or sell or market this information to any third party. PrivaSphere reserves the right to use the registered information for its own CRM, sales and marketing activities. The user may, however, choose to opt-out of receiving material from PrivaSphere by sending an email to info@privasphere.com. Some information is required for billing purposes, and to contact the user should a problem arise related to the user account. This information may be shared in discretion and under nondisclosure agreements with our/your billing partners. The information will not be marketed or sold to any third party. The information is collected and owned by PrivaSphere exclusively. Our service contains links to other sites. PrivaSphere AG is not responsible for the privacy practices or the content of such Web sites. PrivaSphere consciously decided against the mandatory use of any cookies for optimum privacy. PrivaSphere recognises the importance of total security for our customers. We exercise great care to ensure that any information sent is handled in a secure manner. Therefore, all communication between the user’s computer and the PrivaSphere servers is encrypted using SSL encryption or equivalent technology. Furthermore, any document and message content uploaded to the users account is stored in an encrypted format (AES). This service implements security measures to protect the loss, misuse and alteration of any information under PrivaSphere’s control. Internally, PrivaSphere restricts access to personal information to selected own employees. Backups of user data are scheduled on a daily basis and stored in an encrypted manner and regularly safely locked up in a Swiss bank vault. PrivaSphere reserves the right to modify or amend this Privacy Statement at any time and for any reason. Users will be notified about changes in the Privacy Statement via our web site.